Beautiful azure waters, an amazing climate and gorgeous white sandy beaches, Cancun remains one of the top tourist destinations in the world and is the perfect place for a last - minute holiday getaway! A holiday in Cancun is the perfect opportunity to explore miles and miles of magnificent beaches while enjoying some sun bathing, swimming, surfing, prime scuba diving and snorkelling. Among the most popular attractions to explore in Cancun in Chichen-Itza with it's many Mayan temples. The El Rey ruins are another visitor favourite and are situated right in the hotel zone of the city. Finally, Cancun is first a short drive from Tulum, home to a mix of modern day resort hospitality and the ancient ruins of a mighty civilization. 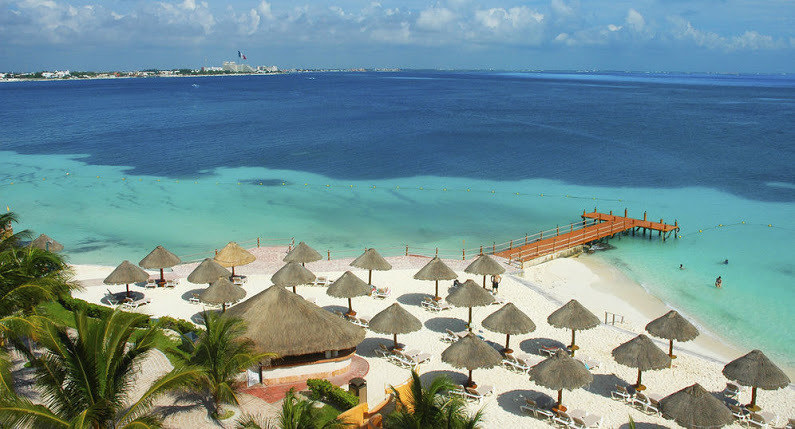 #Cancun #Mexico #holiday #travelling #KAYAK.